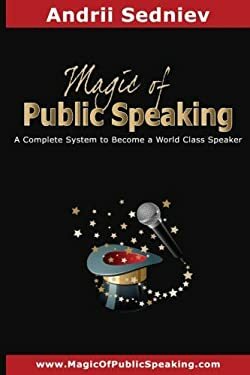 The Magic of Public Speaking is a comprehensive step-by-step system for creating highly effective speeches. It is based on research from the top 1000 speakers in the modern world. The techniques you will learn have been tested on hundreds of professional speakers and work You will receive the exact steps needed to create a speech that will keep your audience on the edge of their seats. The book is easy to follow, entertaining to read and uses many examples from real speeches. This system will make sure that every time you go on stage your speech is an outstanding one.